Long Grove Power Outage….Long Grove's oldest tree is still standing! Last week in Long Grove and Buffalo Grove, a severe storm prompted many communities to lose power and many trees were ripped apart. That’s the bad news. Now the Good news…. 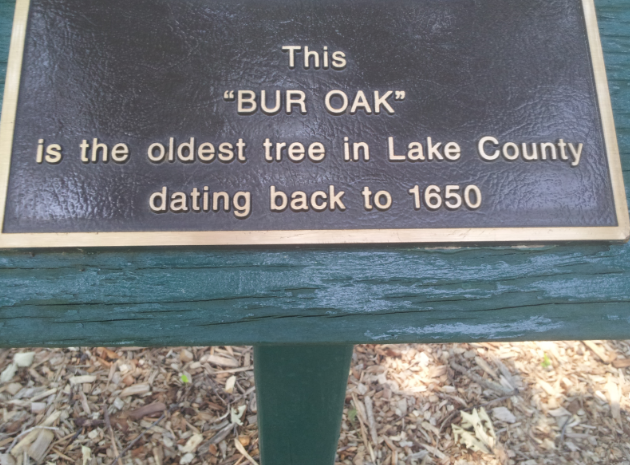 Lake County’s oldest Tree located in Long Grove Illinois thankfully is still standing. I myself personally live in Long Grove and I lost power in my house for 3 long days. Loss of electricty means no computers, yes my ipad worked until I ran out of juice ,my cell phones were charged in our cars, toilets were not working, no water for my plants,no place to bathe, brush teeth, and a refriderator and freezer with spoiled food. My family did a lot of showering at Lifetime Fitness located in Vernon Hills. The loss of toilets and water(Long Grove is mostly well water) was not fun, but I know that the storm created bigger head aches for some, so I will not complain! Long Grove Chocolate Festival was very "sweet"
The annual Long Grove Chocolate Festival just concluded. To me the Long Grove Chocolate Festival signifies two things: Summer has finally arrived and chocolate lovers can reconvine.